Light pollution is wiping out star observation points and the quality of the night sky. This project aims to locate these strategic places and share them with the public so that they become aware of this environmental problem. In the web you can find a map where are marked the points that the participants have indicated until now. Photographs of both night and day sky are also included. It is also intended to collect data on the brightness of the sky to develop a map that serves as a tool and source of research aimed at light pollution. These measurements are made by amateur astronomers and SQM photometers. 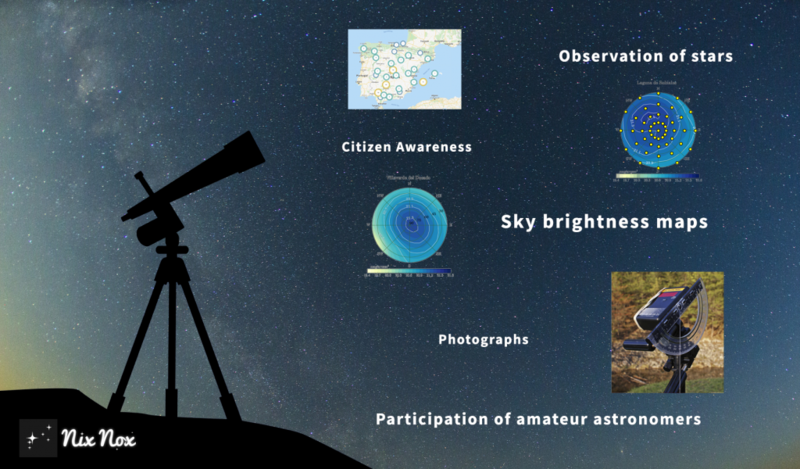 More than 20 associations of amateur astronomers are currently collaborating with this project.